If you grew up in the late 80s, chances are you remember Pee-wee’s Playhouse quite fondly! The zany Paul Reubens played the even zanier character of Pee-wee, first made popular by a series of goofy movies. The show almost instantly became a cult hit. Now, nearly 30 years after it first aired (in 1986) you can bring home the complete digitally-remastered series on Blu-Ray. 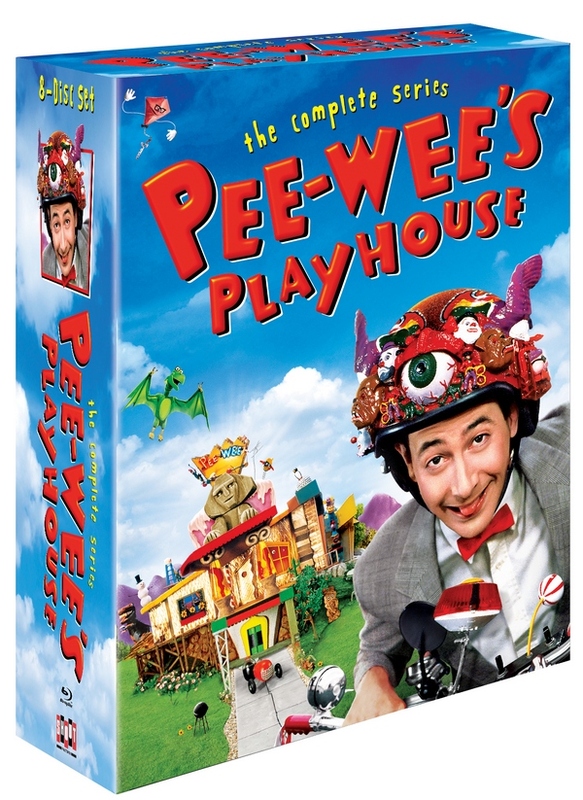 You can also grab Pee–wee’s Playhouse: Seasons One and Two in a high-definition 4-DVD set. I received that for review and have Jake watching it now! 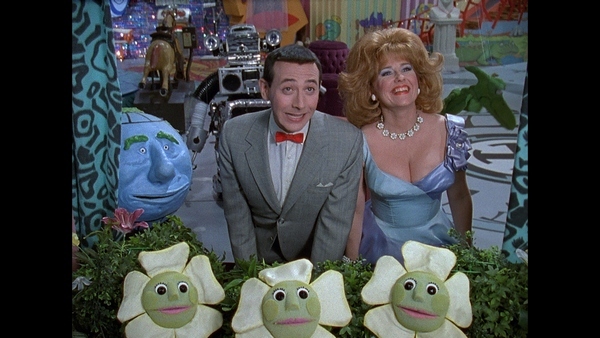 Pee-wee’s Playhouse was unlike anything on television at the time. The technology alone was way ahead of the 80s, with the Picturephone and the Magic Screen. Sound familiar? They should! We now have “picture phones” all over the place, thanks to video conferencing apps. You also have to wonder if tablet inventors were fans of the Magic Screen. Technology wasn’t the only thing that made Pee-wee’s Playhouse special. The combination of styles represented on the show really gave kids a look at all the different ways to create scenes. From puppetry to animation, Pee-wee used many media styles to tell stories to his little viewers. Pee-wee also celebrated diversity, showing kids that race and gender shouldn’t hold you back from doing what you want (example: Reba the Mail Lady). It seems silly to think that a woman can’t be a mail delivery person now, but back in the late 80s, diversity wasn’t exactly a priority, or so it seemed. It’s no wonder Pee-wee’s Playhouse won so many awards, including a whopping 15 Emmys! The remastered Pee–wee’s Playhouse: Seasons One and Two in a high-definition 4-DVD set looks absolutely fantastic! Even better than when I was a kid! Of course, back then the quality depended largely on your television reception through the rabbit ears. I think we JUST got cable towards the end of the 80s. It’s really fun to share a childhood icon with my own son. I love that Pee-wee’s Playhouse is something that we can both watch and enjoy together. Grab Pee-wee’s Playhouse on Amazon and bring it home for the next generation of fans! Were you a fan of Pee-wee’s Playhouse? Who was your favorite character? I loved this show as a kid. I bet my nephews would love watching this.